HTC Today announced a new smartphone HTC Desire HD -at a special press event held in London. The HTC Desire HD, as the name indicates is an upgraded version of the HTC Desire, and is a mobile device based on Android OS. Many people were waiting for an Asian-European version of the HTC EVO 4G handset currently available with the Verizon network in USA. The HTC Desire HD is a dual band 3G -quadband GSM phone that supports almost all networks in the world. HTC Desire HD has a huge 4.3 inch display (WVGA) that support multi-touch gestures. The similar screen size only available in HTC EVO and HTC HD2. Desire HD is made of a single piece aluminum, and it has an 8MP camera in the back side. HTC Desire HD and HTC Desire Z are the first two handsets to get the new HTCsense.com services. Features like Dolby mobile and SRS virtual sound makes it the best mobile entertainer available in the market. HTC Desire HD will be shipped with the latest version of Android 2.2, Froyo with a custom HTC Sense UI over it. The HTC Sense in Desire HD will enhance the user experience by providing quick access to weather, maps, social media, mail, messages and contacts. The features of new HTC Sense, including the HTCSense.com cloud service like contact backup, remote wipe, calls and text are supported by HTC Desire HD. Existing widgets and features of HTC Sense were also redesigned. HTC has added new map application called Location. It will keep the maps in cache so that they can be accessed later, without an internet connection. HTC Desire HD has a huge 4.3 inch, capacitive touch screen with QVGA (480 x 800) resolution. This screen, support multi-touch inputs and there is proximity and accelerometer sensors for accurate detection of user movements. There is an optical trackpad under the screen for selecting the home, search, back and menu buttons. 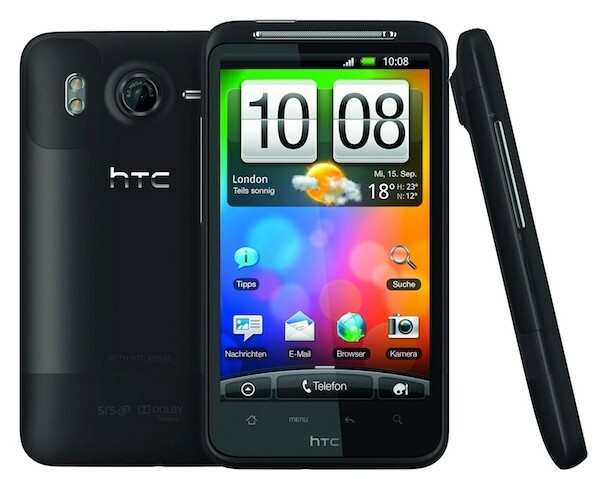 HTC Desire HD in includes an 8MP camera with dual LED flash and HD video recording at 720P. HTC Desire HD doesn’t have the kick-stand available in HTC EVO 4G. Since the device is made of a single piece of aluminum, loading a battery is somewhat similar to that in HTC Legend, Therefore, HTC Desire HD is much thinner than HTC EVO. HTC Desire HD comes with a new version of Snapdragon 1GHZ processor. There is 768 MB RAM, 1.5GB internal storage and Micro SD card slot that support up-to 32GB. Other features of HTC Desire HD includes WLAN, DLNA, Digital Compass, G-senor, Wi-Fi tethering, A-GPS, Digital Compass, Stereo FM radio, Social media applications, 1230 mAh battery, full web browser with Adobe Flash 10 and Google apps. HTC Desire HD will be available in Black and Brown color options. 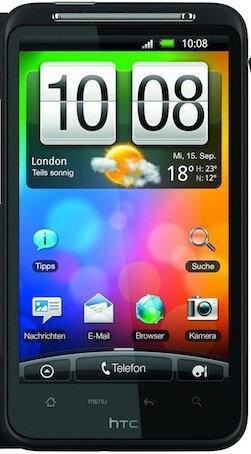 HTC Desire HD will be launched in selected European countries from October 2010 onwards. HTC hasn’t announced the price of HTC Desire HD, however, we believe that it would cost around $650 without any contract. We will add more details as soon as they are available. Why there is no front camera? EVO 4G has one right? SRS and Dolby mobile is good, but you need to connect it through HDMI. Is there any monthly price for using HTC sense web services in Desire HD? when is this mobile going to be launched in INDIA(Mumbai)?